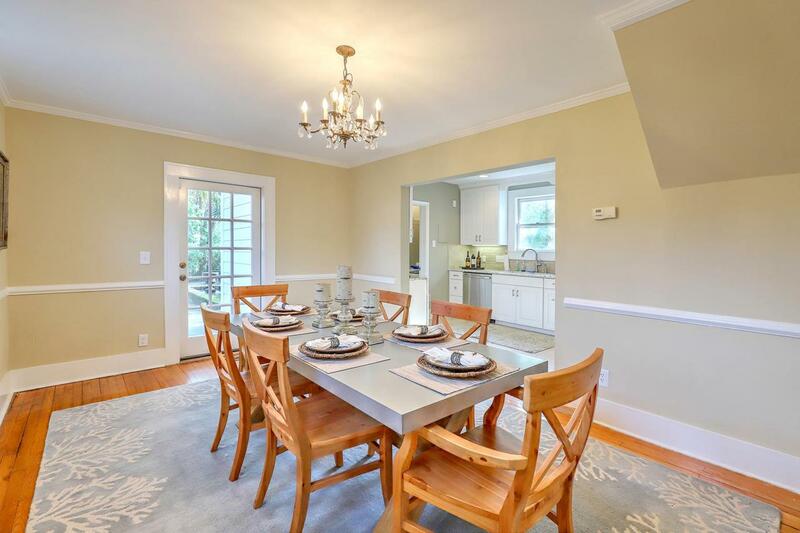 Our featured listing is located in a secluded section of Harleston Village and offers 2 bedrooms, 2.5 bathrooms, and a large living space with custom finishes and significant renovations. 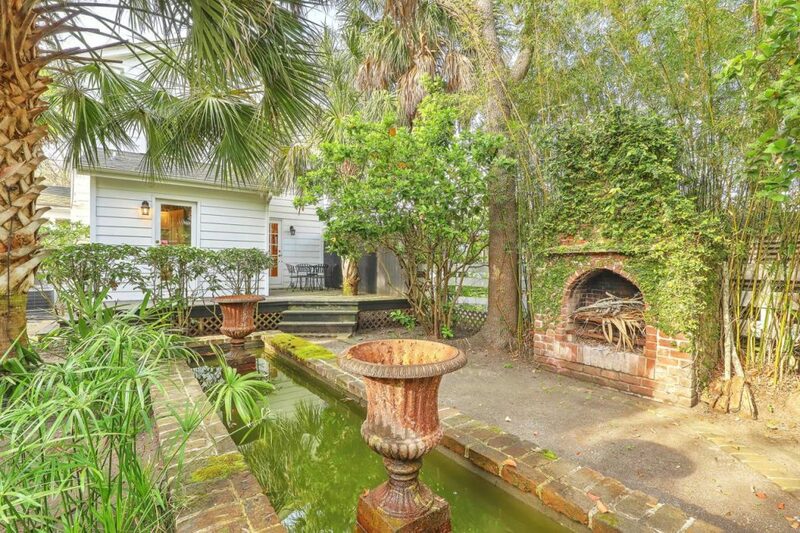 Upon entering 135 Beaufain Street, there is a charming gate and pathway to the front door. Beyond the entrance, you will immediately step into the living room and study. 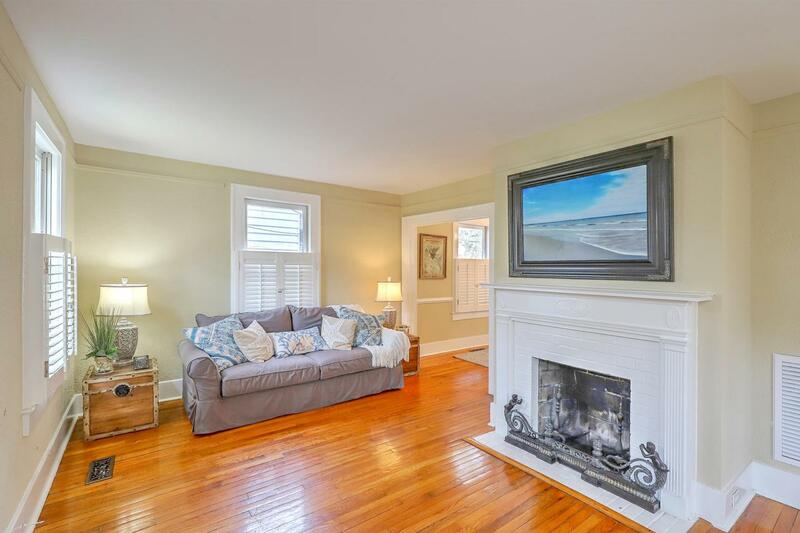 This space features a beautiful white fireplace accented with intricate trim work and pristine hardwood floors. Next, you will find the dining room that offers the same floors throughout and detailed crown molding. 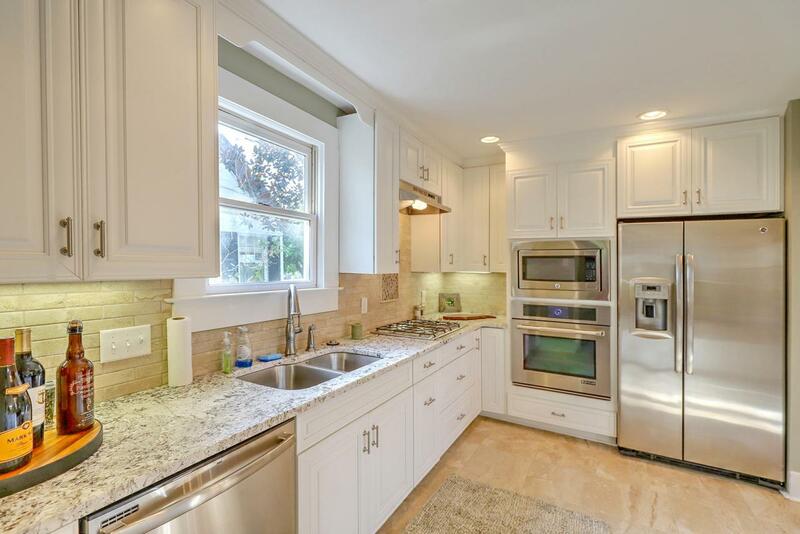 The dining room then opens up to the newly renovated kitchen which boasts top-line stainless steel appliances, granite countertops, stone subway tile backsplash, white cabinets, and a deep sink. The second level features a luxurious master suite and guest suite. 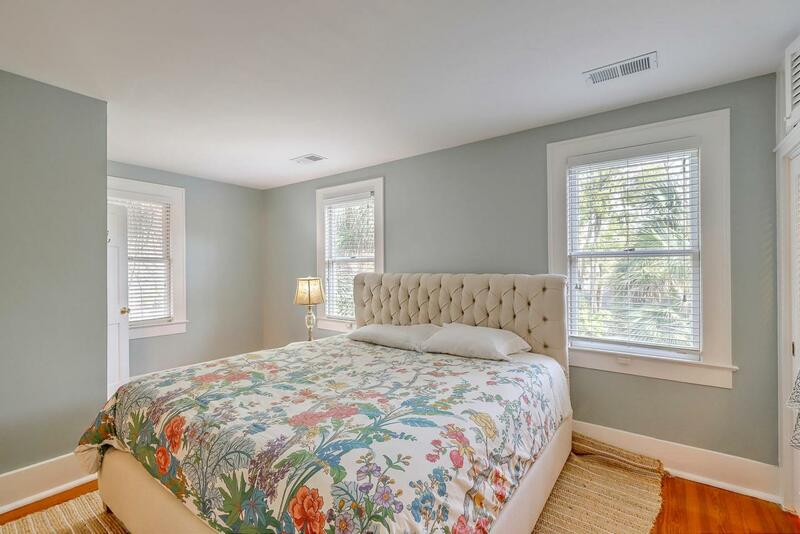 Both the master and guest bedroom are light-filled and offer multiple closets and impeccable hardwood floors. 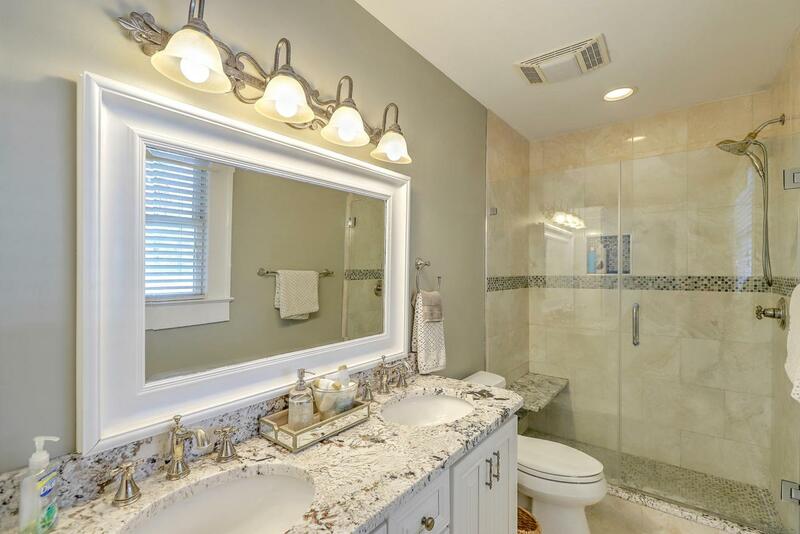 The en-suite for the master features a dual granite vanity, glass walk-in shower, and elegant finishes throughout while the en-suite for the guest bedroom showcases a single granite vanity and shower/tub combo with lovely details. Although 135 Beaufain Street is a work of art on the inside, it is worth it to take a look at the home’s exterior space. 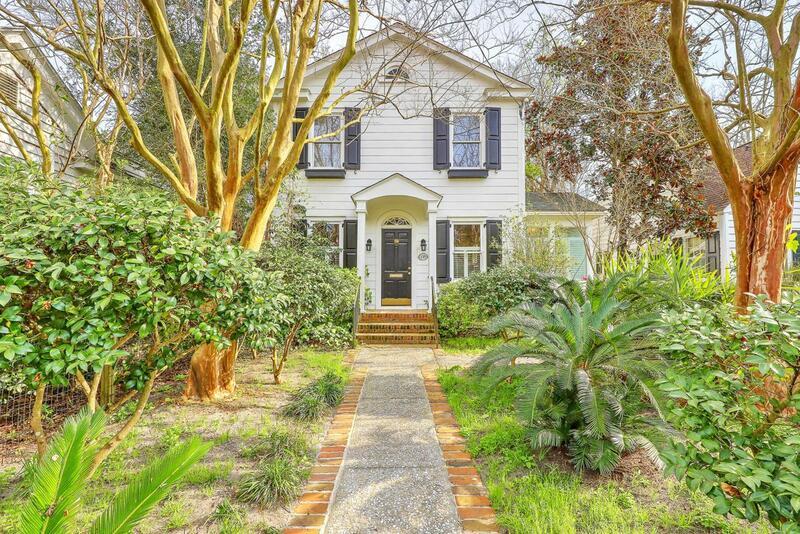 This area includes a rear deck that overlooks a private backyard which is complete with a serenity fountain, brick fireplace, and outbuilding for extra storage. Space provides ample privacy and lush landscaping throughout. For more information on this listing or to set up a private showing, please contact listing agent Adam Edwards. Click here to see more Downtown homes for sale.